OOB365 is a group of Old Orchard Beach, Maine businesses and private citizens dedicated to developing regularly scheduled, quality activities in the community. Maine's Lost Trotting Parks The Lost Trotting Parks Heritage Center presents Maine-based research findings related to lost trotting parks (including Old Orchard's own Kite Track), noted horses, and the people who are involved with agricultural fairs and harness racing. SomeOldNews.com An interesting site with fascinating historical accounts of Southern Maine. 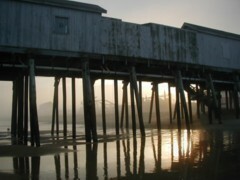 TrueOOB.com provides Old Orchard Beach and Saco Bay Region tourists and locals alike information through printed publication distributed to area motels as well as online via website.